Entertainment industry moguls, Quincy Jones, Benny Medina, Andre’ Harrell and Eddie F collectively assisted in launching Al B Sure! as one of history’s most innovative writers, producers and recording artists in the Business of Music and Entertainment today. As a child, Al B. Sure was introduced to the entertainment business by way of famed songwriter, Ellie Greenwich (writer of the 60’s smash, Do Run, Run). At ten years, old Ellie invited Al to participate in the creation of the theme song for Sesame Place Parks; the theme parks inspired by the PBS children’s show Sesame Street. Obviously, the music never left his system. His debut album, In Effect Mode, sold over two million copies. The triple platinum certified effort climbed the charts to the #1 position on Billboard’s R&B chart for an astounding seven straight weeks. Quincy Jones selected Al as the winner of the Sony Innovator Talent Search in a blindfold contest. Subsequently, Al would go on to work with Q on the gold single, Secret Garden, from Quincy’s Back on the Block, double platinum album. Accompanying Al on this groundbreaking quartet were Mr. Barry White, El Debarge, and James Ingram produced by the legend himself and now Al B!’s Godfather, Quincy Jones. It all began with Al B!’s debut musical effort “In Effect Mode.” Al B Sure! continued to create an extraordinary presence in the entertainment industry validated by numerous awards including a Grammy nomination in the category of “best single” in the company of Eric Clapton, Prince and Luther Vandross. Al B! won an American Music Award for Best New R & B Artist. Al B! also received multiple Soul Train Award nominations and the Soul Train Award for Best New Artist; Several New York Music Awards and more than Thirty-Five (35) ASCAP Awards for writing and composition performance. Due to enormous personal success as a recording artist, writer and producer it was a natural transition to take on the prestigious role of VP of A & R for Motown Records and President of A.B.S.olute Productions. Sure! co-starred with Martin Lawrence in a pilot for a feature film entitled Private Times, directed by the late George Jackson (Director of New Jack City and Jason’s Lyric), Doug McHenry and Stan Lathan. The star-studded cast included ER’s Michael Michelle and Michael Wright of the movie The Five Heartbeats. Sure!’s various talk show appearances include The Oprah Winfrey Show, Late Night with David Letterman, The Tonight Show with Jay Leno, Good Morning America, The Arsenio Hall Show, Rolanda, and Donahue. Al B’s television and acting performances include Showtime at the Apollo, Soul Train and The Soul Train Music Awards, the Grammys, the American Music Awards, Will Smith’s Fresh Prince of Bel Air, and ABC’s Magic Johnson Special from Hawaii. Al assisted MTV in introducing its first R&B/Hip-Hop show on the Network as the launch host of MTV Jams. Al B! entered the world of Television with a splash by Co Executive Producing the Jamie Foxx HBO Comedy Special, “I Might Need Security” along with Marcus King, Gary Reeves, Ehrich Van Lowe & Foxx. The special featured the comedic genius of the Oscar award winning actor and was filmed at the historical Paramount Theatre in Oakland, California. As a Writer & Producer, Al B! has generated some of today’s most inspired and innovative music, including his Music Industry introduction of the Multi-Platinum group “JODECI.” Following in the footsteps of his mentor “Q,” Al B!’s introduction of “JODECI” and Production on their Multi-Platinum debut launched Al B Sure! as one of the premier and decorated producer/songwriters in the history of the music business, Al B!’s outstanding ability for discovering and identifying unique, natural talent led him to employ a young undiscovered talent by the name of Chris Rock to be his opening act on his first ever tour. Again, with a keen eye and ear he also found a young, beautiful, church-attending songstress who Al B! instantaneously employed as his production demo singer after hearing her ‘Instrument Like’ vocal chords and nicknamed her “The Doctor.” She is Multi-Platinum Recording Artist “Faith Evans.” Al B!’s production team also launched the likes of vocalists Dave Hollister, Case Woodard, Usher Raymond and Tevin Campbell to name a few. ABS! is also featured in Usher’s VH-1 “Driven” special, a documentary on Usher, an introspective look at his life and the beginnings with Al B! & P Diddy’s guidance into the launch of his debut CD. ABS! lent his talents as a “Music Industry Expert” to Tribune’s KTLA special coverage of the 50th Annual GRAMMY® Awards. In 2007 Sure! hosted the pre-show for the American Music Awards and had a guest role in the CodeBlack /Universal DVD, “The HIT,” starring Blair Underwood. Later Al B! launched a new, romantic music intense, celebrity filled, syndicated evening radio show titled “Secret Garden Radio” syndicated through ABC Radio Network (60+ stations domestically & 170 countries via The Armed Forces Network!) 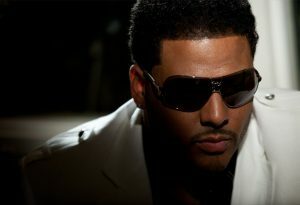 Al B!’s vision for “Secret Garden Radio” was to take a journey into the souls of the listener, supplying non-stop blazing hot, romantic, current and classic soulful music, including weekly visits from celebrity guests and intriguing personalities from every genre of the entertainment industry. In 2008, Al B. Sure! narrated the first season of TV One Network’s most popular music bio series “Unsung” featuring El DeBarge, Phyllis Hyman, The Clark Sisters and Donnie Hathaway. In 2015 TV One debuted Al B. Sure!’s Unsung which is the number one most viewed episode of the series. Al B! also wears the hat of concert promoter when he launched the first in the series of Al B. Sure! R&B Live concerts featuring Tyrese, Tank, Ginuwine, 112, Avant and Lil B. Sure! with special guest Jamie Foxx (Greek Theater); and the second featuring GUY, Johnny Gill & Tony! Toni! Tone! (Nokia Theater LA Live) for Clear Channel’s radio station Hot 92.3 in Los Angeles. ABS would subsequently go on to launch the Secret Garden Family Reunion Concert Series in Las Vegas for KCEP Power 88.1fm at Craig Ranch Amphitheater/Park. Sure headlined the concert which featured Donnell Jones, Troop and Next. In October 2015 Al B. Sure! launched Secret Garden Radio on Power 88.1 Las Vegas with General Manager Craig Knight and Musical Director @DJ Benzo. The show airs Monday and Tuesday from 9p.m. to Midnight P.S.T. Secret Garden Radio is now the #1 Quiet Storm format in Las Vegas. Al B! also starred in the stage play “Flow” which premiered in New York at the Ripley Grier Studio in New York. Al B! played a slimy but suave music executive and reminded the audience of his reach as an actor. In 2016 Al B! was honored when asked to be the voice of the 2016 Trumpet Awards. The Trumpet Awards were created to herald the accomplishments of Black Americans who have succeeded against immense odds: recognition is given to the few, who symbolize the many, who have overcome the ills of racism and poverty and achieved special greatness. BET launched a series entitled “Inside the Label” which featured Al B! and chronicled his ascension in the music industry as an up and comer at Uptown Records. 2016 also found Al B! in a cameo appearance in the Adam Sandler movie, “Sandy Wexler,” alongside award winning singer Brian McKnight and Oscar winner Jennifer Hudson. Al B! became the host of Luxor Hotel Club LAX Throwback Thursday, a night featuring R & B singer Adina Howard. Las Vegas Weekly Magazine dubbed Al B! the R & B Ambassador for his contribution and influence in the world of hip-hop and R & B. Not only talented as a writer, producer and singer, Al B. is a voting member of the Grammys; a prominent member of Grammy’s In My District; a Member of the Board of Directors for B.R.A.I.N (Brain Rehabilitation and Injury Network), an organization Advancing Research, Recovery and Residential Care; a member of the Board of Directors of The African Consult Group – an African news publication; and a member of the Board of Directors of The Jackie Robinson Foundation. Al’s production has also contributed to the multi-platinum status of the soundtracks for Boyz-N-the Hood, Jason’s Lyric, New Jack City, and New York Undercover. Al’s production also consisted of work with such major talents as David Bowie, Al Green, Diana Ross, Rod Stewart, Bon Jovie, mega Persian Armenian star Andy Madadian, Robert Palmer, Faith Evans, 112, Teddy Riley, Aaron Hall, Eric B. & Rahkim, Eddie Murphy, Michael McDonald, Shanice Wilson, Heavy D & the Boyz, Eddie F, and Johnny Gill, among others. Al has made numerous talk show appearances including the Oprah Winfrey Show, The David Letterman Show, Jay Leno, Good Morning America, Arsenio Hall, Rolanda, Phil Donahue, NBC’s Live at 5, and Good Morning LA. Al’s performances include BET, the Apollo Theater, Soul Train show and awards, The Grammy’s, and The American Music Awards and most major venues across the United States & abroad. Al’s appearances include Will Smith’s Fresh Prince show, Quincy Jones’ Back on the Block movie/documentary, and ABCabs’s Magic Johnson Special.